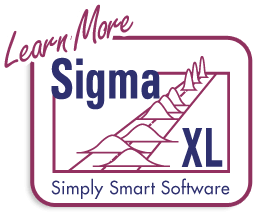 Click SigmaXL > Templates & Calculators > Basic Process Capability Templates > Process Sigma Level – Discrete to access the Process Sigma Level – Discrete calculator. The template gives the following default example. Total number of defects should include defects made and later fixed. 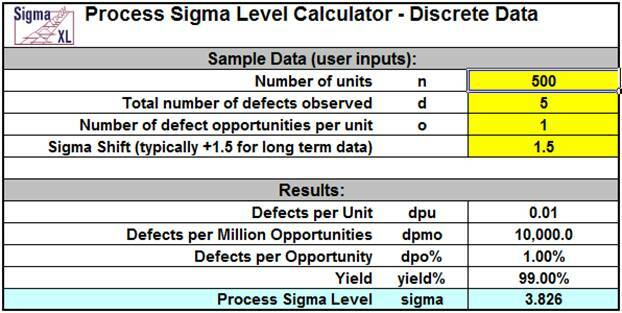 Sample size should be large enough to observe 5 defects. 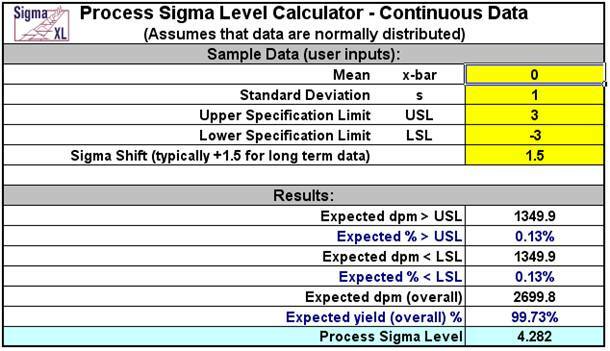 Click SigmaXL > Templates & Calculators > Basic Process Capability Templates > Process Sigma Level – Continuous to access the Process Sigma Level – Continuous calculator. The template gives the following default example. 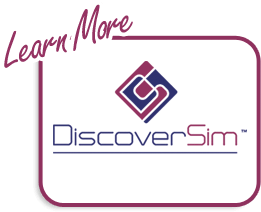 Note: This calculator assumes that the Mean and Standard Deviation are computed from data that are normally distributed.